The local criminal lawyer may have a better understanding of the community, and the types of jurors that would be best suited for the particular case. 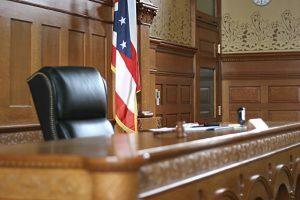 In some jurisdictions there may be pressure on the local criminal defense lawyer to not contest the cases zealously, or to resolve cases by plea. This is especially true if the local criminal defense lawyer derives a large portion of his or her income from court appointments. The outside lawyer may have novel ways of litigating the case that are not contemplated or attempted by the local lawyer. However, what is most important to your case is the quality of the legal representation that you are provided with. Tenacity, work ethic, experience, legal ability, the ability to communicate effectively, the ability to handle pressure, and litigation skills are the most important qualities that your lawyer should possess. A local or outside advantage probably won’t matter if bad lawyering is involved with your case. How do I find the best criminal lawyer? Do your research. Is the lawyer well regarded by former clients and other lawyers? What do online reviews say? Take the time to interview your potential criminal defense lawyer. Does the lawyer seem to know what they are talking about? Does the lawyer care about the outcome? Does the lawyer’s advice make sense? How does the lawyer present himself and present the case? How much experience does the lawyer have. Although a younger lawyer may sound enthusiastic, there is no substitute for experience on criminal cases both inside and outside the courtroom. Trust your instincts. What does your gut tell you about the type of representation you will receive from your lawyer? Ask yourself if you could do better. With criminal law, there is often only 1 chance to obtain the best possible outcome. Will the lawyer that you meet with handle the case, or will it be handled by an associate? 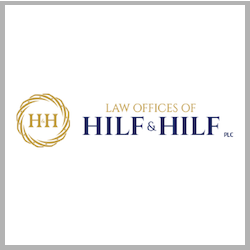 If you need a great criminal defense lawyer in Michigan, you should consider hiring attorney Daniel Hilf of Hilf & Hilf, PLC.